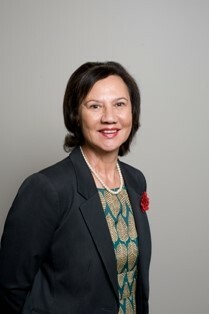 Between January 2018 to June 2018, Gwen was also the interim Chair of Auckland District Health Board. In these governance roles, Gwen has been a powerful force for change championing Māori health developments and overseeing sustained change and responsiveness of large providers. In addition to Gwen’s nursing qualifications, she also holds a Master of Business Administration, Certificate in Health Economics and a Certificate in Company Direction from the Institute of Directors in New Zealand (inc). Gwen is passionate about Māori Health Gain. She has been pivotal to the development of many significant Māori Health initiatives over the years. Her steadfast commitment has continued over three decades as she endeavours to serve both her hapū and the wider Māori community. Finally, I would like to acknowledge Gwen’s integrity, her compassion and her drive to always do her best for both and the many organisations she partners with and also her unfailing commitment to Māori health.